It won't be AI, it will be our brains on a computer. Many people are familiar with the Singularity: Think of it as the “tipping point” where the accelerating pace of machines outrun all human capabilities and result in a smarter-than-human intelligence. It is predicted to have an ultra fast and immense impact on human civilization. But most theories regarding the Singularity have it starting from better artificial intelligence (AI). Is there weight to these theories? That’s what this book is all about. 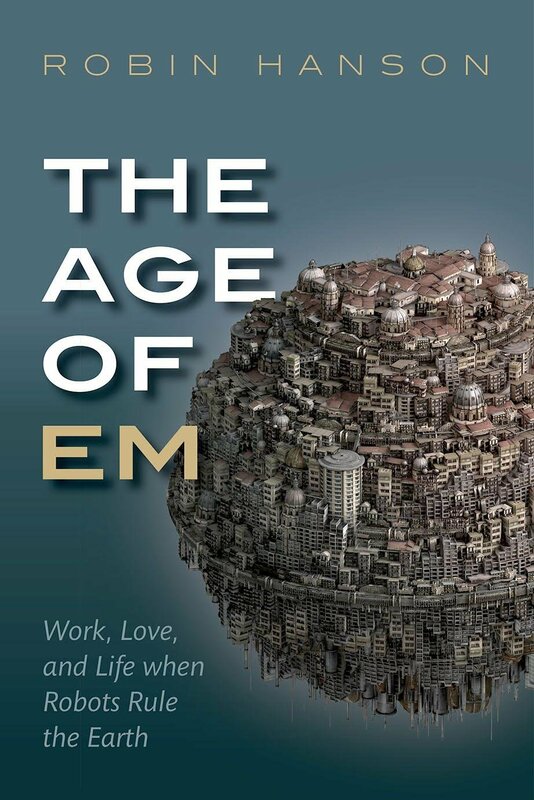 Robin Hanson, an associate professor of economics at George Mason, has written a book called “The Age of Em”, predicting the Singularity, but from a different starting point: a brain computer. Hanson posits that the Singularity will not come from the mimicking of consciousness and intelligence through artificial code, but by recreating a functionally similar brain computer and the development of the brain emulation concept. He expects emulations, or “ems” to develop first, and to be 1,000x faster than ours. Using his social science background, Hanson has been able to create a pretty convincing picture of how society will change with this em technology. For starters, Hanson believes that this will come within several decades, where the current pace of technology will go slowly enough that society is able to adapt nicely. But when the emulation technology is finally developed, everything changes rapidly. A transition period of about five years is predicted, where the technology becomes better. Once that’s over, humans just retire, because ems are just better. At everything. The ems will be able to assign technology to menial jobs, replacing blue-collar human workers. Office jobs will easily be taken over by ems that work in virtual reality. Top management in both business and government will nominally stay human, but the sheer speed of ems will assure that technology is making the concrete decisions. The only remaining human jobs will be nostalgia-based, serving the rich who want the experience of human waiters, servants, or even prostitutes. Which is why those with financial investments will reap the most out of this scenario. The economic boom of ems will see their investments skyrocket in value. Hanson’s book is published by Oxford University Press. It is available on Amazon.